A lady in my Facebook group shared a picture of an afghan she made a long time ago and has now lost the pattern. She thought it might have been called Bear Claw Crochet Stitch, but wasn’t sure. So I did my best to recreate it by looking at the pictures she shared in the group and this is what I came up with! It really is a simple stitch! 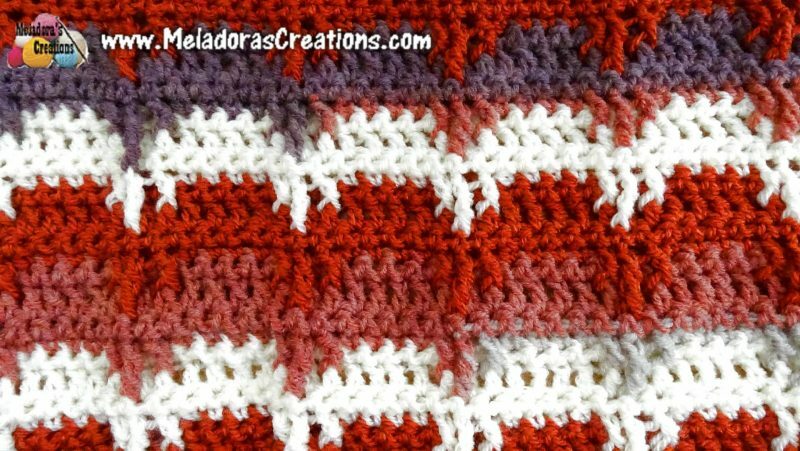 Don’t let the Front post triple crochets scare you, it’s super easy to get down and there’s only 4 repeating rows that can be done in your sleep. Tutorials come in both Right and Left Handed Tutorials.